I have the special honor of sharing an interview with award winning author and artist Marge Simon. She began her career writing and illustrating for small press and went on to become an award-winning writer receiving the Rhysling Award’s Best Long Poem for speculative poetry in 1996, the Bram Stoker Award for her collaborative poetry collection with Charlee Jacob, Vectors: A Week in the Death of a Planet in 2008, and again in 2012 for her collection Vampires, Zombies, and Wanton Souls. Her poetry has also won the Dwarf Stars Award, the Strange Horizons Readers Poll and the Elgin Award for Best Poetry Collection, “Sweet Poison” with Mary A. Turzillo. She was awarded the Science Fiction Poetry Association’s Grand Master poetry award in 2015. 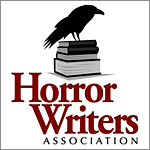 A former president of the Small Press Writers and Artists Organization, the Science Fiction Poetry Association, and a former editor of Star*Line, SFPA’s bimonthly journal, in 2013 she began editing the column “Blood and Spades: Poets of the Dark Side” for the monthly newsletter of the Horror Writers Association. She also serves as the Chair of the HWA Board of Trustees. Sharing with us today, Marge Simon on her recent poetry collection, Small Spirits: Dolls of Darkness. You can read my review of Small Spirits here. Dolls have a surprising cultural impact. It seems people either love them or dislike them. They have a place in religion and ritual as well as play. Can you please tell me the significance of dolls to you personally? Marge Simon—For this collection overall, I’d say it was mostly with the help of Sandy DeLuca’s personal attachment/memories of her own dolls or stories she had heard or read that I discovered significance, researched (as did she, for her art) types of dolls and their purposes through the ages of civilizations. I remember as a young child, having many “Storybook Dolls” which I guess are now collectors’ joys—gifts from a dear aunt, but I wasn’t allowed to play with them, nor with Emmy Lou, a very expensive little girl dolly almost as big as I was at age 3 1/2. My father was upset with my mother for the extravagance. A few years later the cat chewed up her hair so she had to go to the doll hospital and get a wig. I still have that doll. I was also sent foreign dolls such as matroyoska dolls, the kind that you start opening like egg shells from larger to small to minute. Fascinating! I let my imagination go off with that one! And then I started making my own pipe cleaner dolls that could be bent any direction I wanted because I was making up exciting stories with them by the time I was about 10. Small Spirits is about dolls, but I sense a larger statement concerning the girls and women that are represented here. Is that true or am I seeing connections where there aren’t any? Marge Simon—There are connections, oh yes! In fact, some were from researching dolls and myths and magic, including ghosts and legendary dolls. For example – “Refuse of the Cotton Club” –a story that isn’t actually told, but you can imagine what kind of life the little girls of the Jamaican mother had in those times from the way the poem unfolds. Oddly, no market wanted that one. It just doesn’t fit the “needs” of the usual audience and I was glad when you mentioned it earlier in a message. “The Pupa Doll” — is actually based on a real account of a doll in Italy that the owners kept in a glass bookcase. The doll appeared to move things around, wanting to be free and reunited with her true companion, a little girl who died in the WW II bombings. If you could be a doll, what kind would you be? What era and purpose would you choose? I live in the present, so it would be modern-day such as this doll (pictured at right). Then one can imagine stories, poems and even spells…some for good…perhaps some that are naughty. I love that “naughty” part! Hee hee! There is a deeply disturbing nature to some of the poems. Daddy’s Little Girl is one. The poem starts off almost playfully and then descends into dark intent. In my mind, I’m rooting for the girl paying justice to the dad as I’m sure he is the cause of the mother’s disappearance and abusive towards the daughter. Do you know the whole story of these two, or is the poem just a glimpse into another world leaving you with questions as well? Marge Simon—Exactly so, what you say. Though there are stories behind most of these, they are bits and pieces of experiences I’ve picked up along the way. I knew an abused woman with an adolescent daughter. The woman’s boyfriend was a charmer, but he was also a child molester (we didn’t know this at the time.) I knew of marriages where the husband beat the wife and then brought her presents to “make up” for it. So as I say, bits and pieces, strung together. Do any of the dolls represent real women from history or your own experiences? What sparked these diverse tales? Marge Simon—Here is an example of what Sandy would often do to jump start my imagination such as this would accompany the art. I regret that we didn’t include my poem for this one. I would provide more examples but they’ve been deleted as I worked on the poems. “Name and it’s meaning: December: The Cold Moon. Winter takes a firm hold and temperatures plummet at this time. Sometimes this moon is also called the Long Night Moon as the winter nights lengthen and the moon spends more time above the horizon opposite a low sun. The full moon name often used by Christian settlers is the ‘Moon before Yule’. As a child I remember how everything became colder and somewhat still before the holidays, and my parents spoke in Italian to each other (thinking that I couldn’t understand them) in regards to my Christmas presents. I wanted a specific doll one year, something pretty and one that I could dress in lovely clothes, and after deciphering the Italian I learned where they’d hidden her. It was in a closet, or space, where I had to stand on a chair in order to reach it. Perhaps the girl in the poem falls, and is badly hurt when she climbs up on that chair looking for her doll and it’s on the night of the Cold Moon, or the Long Night Moon. In A Gift From Mama, the girl has a doll that delivers revenge for her, but she uses it up on petty squabbles and the doll turns on her. It makes me think of how vengeance has a way of turning back on us. What are your thoughts on this? Marge Simon—It’s a lesson, like a parable. You have explained it well. “Life is not so simple/A curse can’t be abused” The child (now a grown woman) realizes this too late. We would like to think that offensive trolls on Facebook also get their comeuppance but the best thing to do is block them or ignore them – and why waste a good curse on the likes of them? Such pettiness is a waste of time. Don’t allow yourself to be upset by those shallow people – if you do, you’ll have satisfied their purpose. The art by Sandy DeLuca has a surreal, twisting fluidity that goes well with your work. What is your collaboration like and how did you start working together? Marge Simon—Yes, Sandy’s art is remarkable –fresh, overflowing with life in line and color as well as the often multiple and various subjects. Our first collaboration was The Mad Hattery, which was a Bram Stoker Finalist® in 2012 (published in 2011). Things began to come together when Sandy started sharing paintings of strange women in weird hats. They came in all shapes, types and sizes, some funny, some scary and most of them wicked in one way or another. I so enjoyed writing poems to accompany them! It was like looking forward to a heady dessert. With the exception of Dangerous Dreams (collaborative poems with my artwork) all of our books are my ekphrastic poems responding to Sandy’s art. You can see more of her work here. There is a link with some doll paintings at the bottom of the front page. Marge Simon—2017: my collaboration with Mary A. Turzillo, Satan’s Sweethearts (Weasel Press) –poems about the most evil women throughout history (from Salome to Aileen Wuornos– and beyond to Bathory and ancient China) is on the Stoker rec list and available on Amazon. 2018: Currently I am working on a collection, WAR, (Crystal Lake) with Alessandro Manzetti, Bram Stoker® award winner. It will feature wars past and present of all sorts, not just battles – and a third section of surreal futuristic “war” poems. Aaaand … I have a few other things cookin’ in my kettle o’ ideas! Keep up with the dynamic Marge Simon at MargeSimon.com. This entry was posted in #PeopleCollection, #Poetry, #Reviews. Bookmark the permalink.